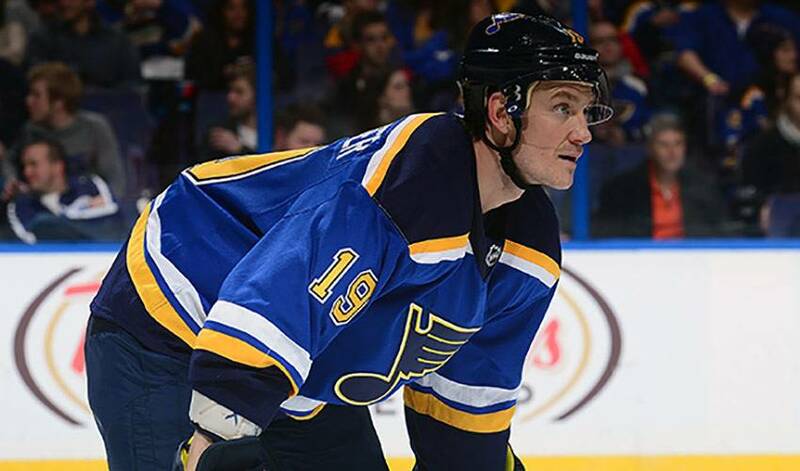 Those who know Jay Bouwmeester best were certain he was destined for NHL success long before he closed in on one of hockey’s most impressive individual milestones. Fast-forward to the present, 998 NHL games later, and the 33-year-old Bouwmeester, who played four seasons in Medicine Hat, is still doing everything well as one of hockey’s most dependable defenceman. He’s also one of the most decorated players on the international stage, having won five gold medals for Team Canada: Olympic Gold, two World Championship titles and a pair of World Cup of Hockey championships. In 15 years of NHL service – six with Florida, four with Calgary and the past five with St. Louis – Bouwmeester has averaged nearly 24:50 of ice time, a testament to his dependability and ability to deliver in crucial situations against the best players. He’s also durable, having skated in 737 consecutive regular season games between 2004 and 2014. It represents the fifth-longest streak in League history. The Edmonton-born Bouwmeester managed to impress teammates, including a veteran blueliner, early on in his NHL life. It’s perhaps the best way to describe Bouwmeester, who came to the Blues via a trade with the Calgary Flames on April 1, 2013. And it’s also a big reason why he was chosen to suit up for Canada at the recent World Cup of Hockey when Duncan Keith was unavailable to play. In six games, Bouwmeester recorded one assist and tied for second in the tournament with a plus-six rating. On November 1, he’ll play in his 1,000th NHL game, becoming the 307th player to reach the mark. The achievement is hardly a surprise for those familiar with Bouwmeester’s body of work. “We didn’t make the playoffs in any of the years Jay was here,” noted Carriere, Senior Director of Player Development for the Edmonton Oilers since 2012. “But that didn’t stop him from being a great ambassador for this club. He was big in the community. People really admired him for who he is as a player and as a person.